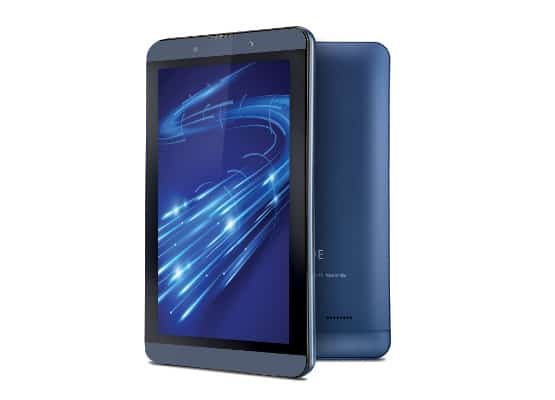 Ball announces its ‘iBall Slide Brisk 4G2’ Tablet PC with 4G capability and packed with 3 GB RAM. The 7-inch IPS HD screen tablet has a sleek design and runs on the Android 6.0 Marshmallow, with its 64-bit Quad Core Processor and Mali –T720 GPU. It supports 16GB in-built memory storage which is further expandable up to 32 GB. Coupled with Y-Cable which is a smart Dual USB cable that lets you to charge your Device and connect to USB-enabled device simultaneously. Brisk 4G2 has a 2MP Front camera and 5MP AF Rear Camera with LED Flash. It has an in-built Wi-Fi hotspot and Bluetooth connectivity (v4.0). It also incorporates a Micro-B USB Port and USB OTG Function. 4G2 with 3500mAh Li-Polymer battery and supports 9 Indian regional system language and in-built multi-languages keyboard support having a support of 21 Indian languages (Read/Write). Available in stunning Cobalt Blue colour; it will be available at all leading stores within a week across the country.